Ho Chi Minh City is now treating hazardous medical and industrial waste by high-tech methods at two plants, but by 2020 the city will need additional plant capacity as well as more private investment when public funding runs out. The city’s budget can allocate 70 percent of the total cost for collecting, transport and treatment of hazardous waste, but the funds will gradually fall to 40 percent in 2019, and by 2020 there will be no subsidy. The municipal Department of Natural Resources and Environment has asked the municipal People’s Committee to seek private investors for the collection, transport and treatment of hazardous medical waste for small private health clinics and a number of public health facilities. At least one more plant with the capacity of 50 tonnes per day should be built, according to Nguyen Thanh Phong, Chairman of the People’s Committee. 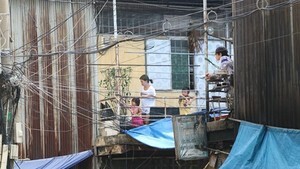 A plant at Dong Thanh commune in the city’s outlying Hoc Mon district was put into operation in 2011, according to Doan Khac Hung of the HCM City Urban Environment Company Limited. The plant’s treatment technology is a double-chambered incinerator with a large capacity. The company has also set up a 5,000sq.m ground for burying ash after treatment. Hazardous medical and industrial waste is collected and transported from factories and industrial parks in the city to the company’s plant, and is brought to the incinerator via an automatic line. Vehicles and other devices used to transport waste are cleaned in the area near the plant, while the plant’s operation is monitored and checked frequently by staff of the Ministry of Natural Resources and Environment and its department in HCM City. Inspection results show that the quality of gas discharged from the incinerator and liquid waste after treatment meets national standards. 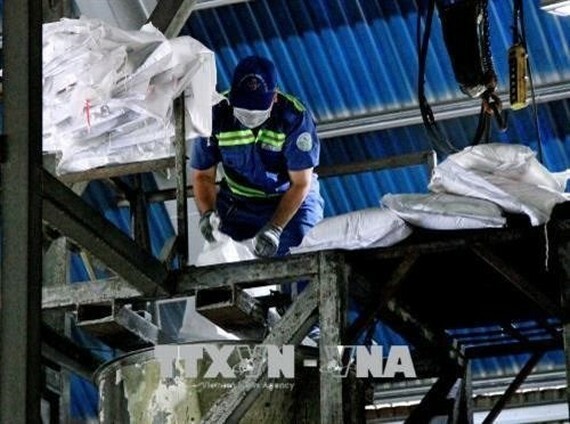 Ha Tran Hien Duc, deputy head of the environmental service division under HCM City Urban Environment Company Limited, said the plant in Dong Thanh commune treated 21 tonnes of waste per day. The company’s other plant in Binh Tan district’s Binh Hung Hoa ward has a capacity of seven tonnes per day. According to Duc, these two plants currently can treat all the hazardous medical and industrial waste in the city. The HCM City People’s Committee has approved moving the plant in Dong Thanh commune to Phuoc Hiep Waste Treatment Complex in the city’s outlying Cu Chi district. The plant’s technology will be replaced with a more modern plasma technology. According to the Department of Natural Resource and Environment, the amount of hazardous medical waste increased over the last 10 years from nine tonnes in 2006 to 22.2 tonnes in 2016. Between 2017 and 2030, the amount is expected to increase to nearly 10 percent each year. The city has 107 public and private hospitals and 322 ward- or commune-level health stations. Most of them have installed standard wastewater treatment systems. At a recent meeting, Nguyen Thanh Phong, Chairman of the People’s Committee, called for investors to take part in waste treatment. The city can meet treatment needs until 2020, but after this date, more solutions will be needed until 2025, he said.